Keith Merrow’s playing and recorded tones has caused him to be widely recognized as a source for good tone. He knows what good pickups sound like. He knows what he wants, and how he wants it to feel under his fingers. As a passive pickup player, Keith has become accustomed to the bold way that a passive pickup responds to the initial pick attack. This, when combined with Fluence’s up front dynamics and extended frequency response allowed Keith to finally voice a pickup free of the limitations of traditional pickup designs. When combined with the Classic Open Core neck pickup, Keith’s custom bridge pickup delivers an incredibly versatile range of tones for the modern guitarist. Voice 1 – Vintage P.A.F. − The ideal, elusive vintage P.A.F. neck tone with the dynamics and output level you want. Voice 2 – Clear, airy chime − A Fluence-exclusive neck tone, with unreal highs, vocal midrange, and tight lows. 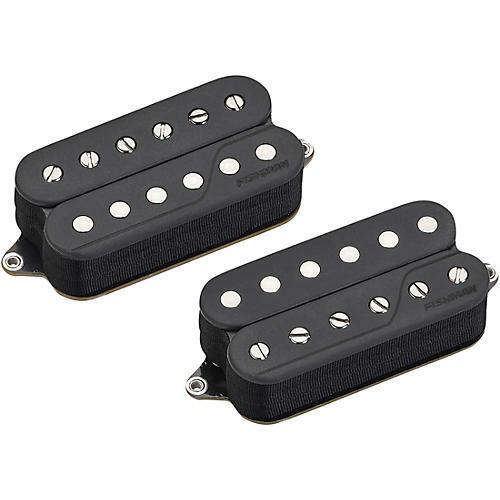 Voice 3 – Single Coil – Punchy single coil with glassy top. Voice 1 – Medium output, low mid grunt with a passive feel. The sound in Keith’s head that only Fluence could deliver. Voice 2 – Low output P.A.F roots, from clean to crunch to brown.